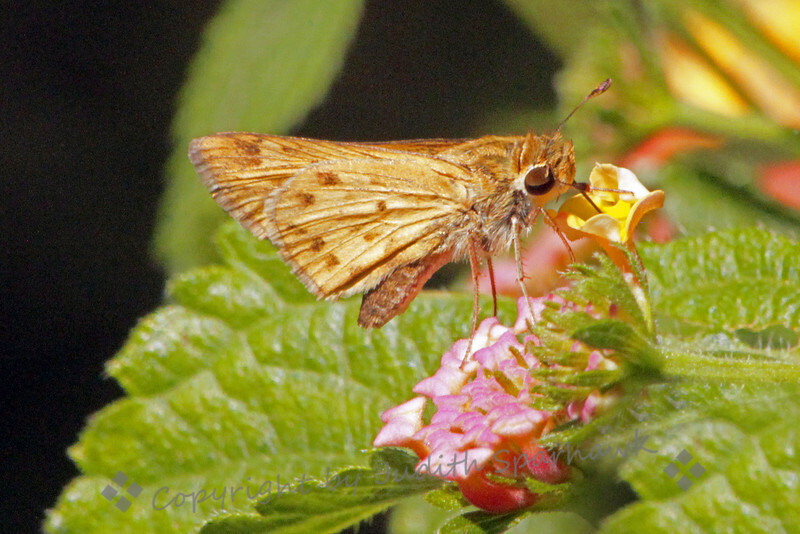 Fiery Skipper ~ These small butterflies have been stopping by the lantana plants in the garden outside my patio. I finally got some photos to ID, and believe that they are Fiery Skippers. I think this is a male.